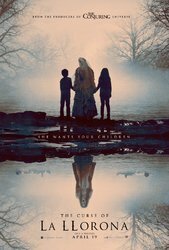 Plot: A social worker dealing with the disappearance of two children fears for her own family after beginning the investigation. Originally titled The Children, New Line Cinema has released a motion teaser revealing the title for the upcoming The Curse of La Llorona which you can check out below! 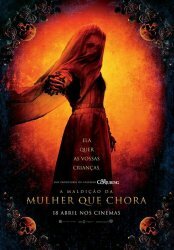 Production was announced last October for the film which wrapped in November. 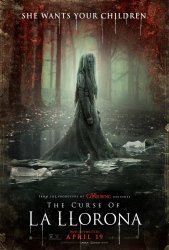 Directed by Michael Chaves (Chase Champion) and written by Mikki Daughtry and Tobias Iaconis in their theatrical debuts, The Curse of La Llorona stars Linda Cardellini (Avengers: Age of Ultron), Patricia Velasquez (The Mummy), Sean Patrick Thomas (Barbershop: Back in Business) and Raymond Cruz (Better Call Saul). 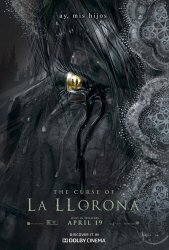 The Curse of La Llorona is set to hit theaters April 19, 2019.